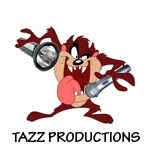 Tazz Productions and Services provide a wide range of services to our valuable clients. 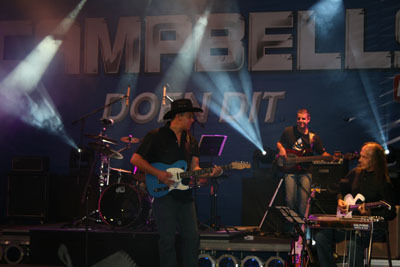 We have more than ten years of experience in sound and lighting, event management, staging and filming and recording productions. We provide a professional and quality service to our customers at reasonable and competitive rates. Our service can be customized to our clients? requirements, thereby providing a tailor made service. Our mission at Tazz Productions and Services is to give our customers the best possible service at all times and to make sure that your event or production is receiving the best attention continually. 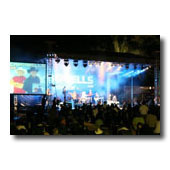 Tazz Productions and Services have a range of sound equipment that will serve anything from a stadium filled with people to a small intimate wedding or private function. 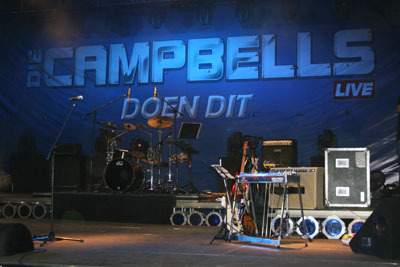 Only top of the range PA equipment is used at all functions. 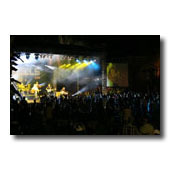 Depending on the requirements of the customer this can range from normal music playback to live sound from artists and high level concert audio for the professionals. 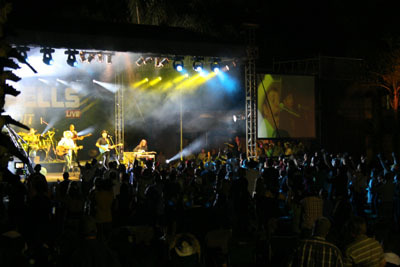 Tazz Productions and Services have all the lighting equipment to enhance the mood for any event and to light up a large stage for live performances. 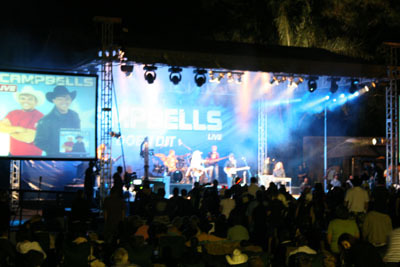 The stage lighting we use ranges from various PAR cans to halogen and theatre spots and follow spots. 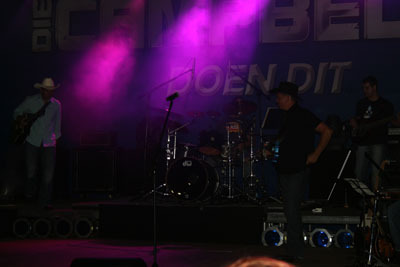 We also use other specialized lights and smoke machines to add effect to any event or performance. Tazz Productions and Services can organize and manage any event, whether it is private or corporate. 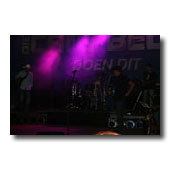 We can organize your event from staging to sound and lighting as well as the performance. 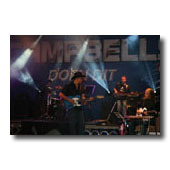 We use a variety of well known artists and performers. Tazz Productions and Services can offer our valued customers a qualified filming and recording crew that can record that event or stage production. 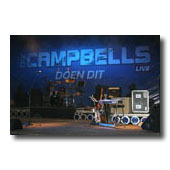 We can also put your special event or stage production on DVD. 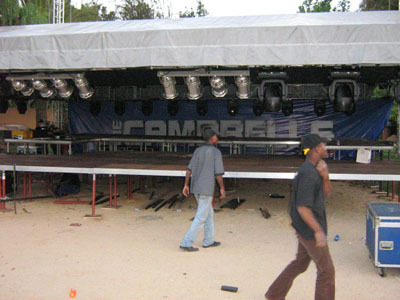 Tazz Productions and Services can offer you a variety of stages to your specifications. 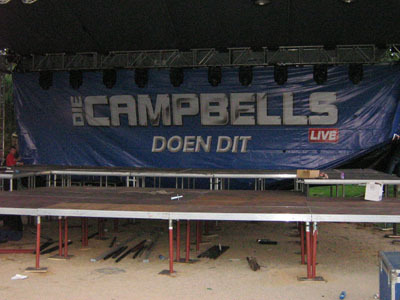 Our stages comply with all the required safety standards. 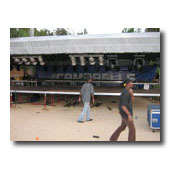 All stages are inspected and signed of by qualified engineers. Do you need any specific equipment? We at Tazz Productions and Services can procure any piece of equipment you might need. No piece of equipment is too big or too small to find. If we can not find it, it does not exist. Tazz Productions and Services have got an installation team that is always on standby for your rigging or installation needs. We offer this service because it is always helpful in cases where time is running out. 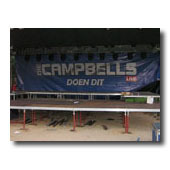 So, when building or planning a new church, studio or club, give us a call to install and maintain your equipment.